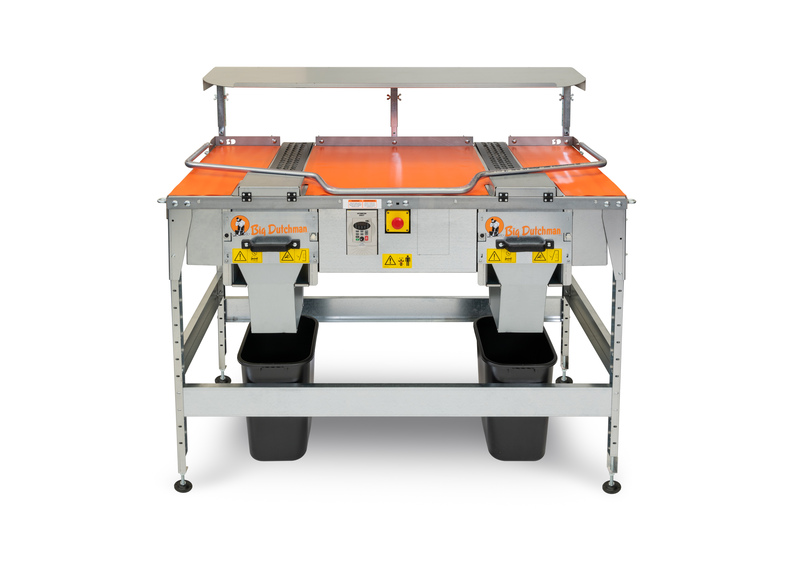 Ideally suited for manual collection of eggs, EggSort collection tables ensure maximum smoothness during egg collection because there are virtually no transfer points. 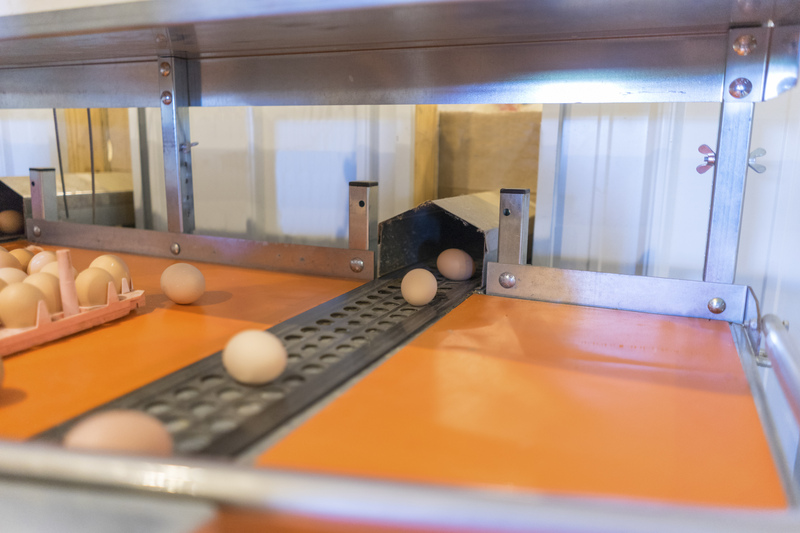 Eggs are transferred from the nests and out of the breeder barn on woven or plastic egg belts. In the service room the eggs are then gathered on the collector tables for manual packing. 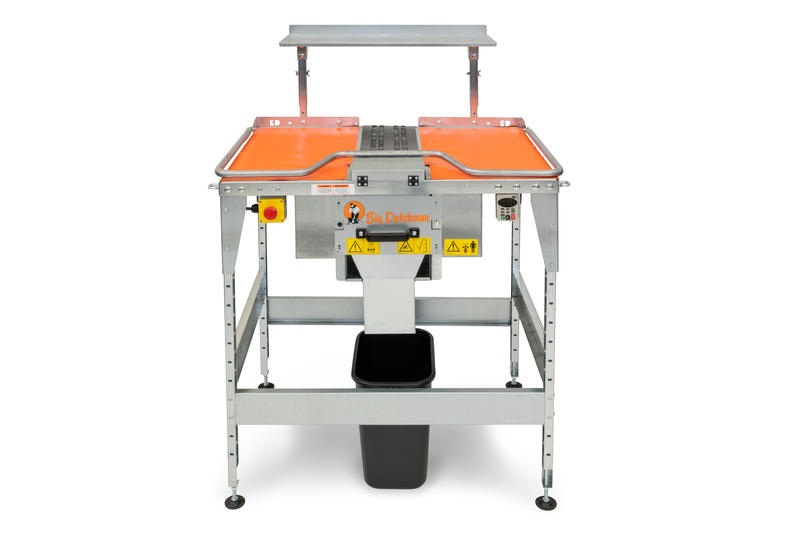 They are available in either center or side belt designs depending on the needs of the house.